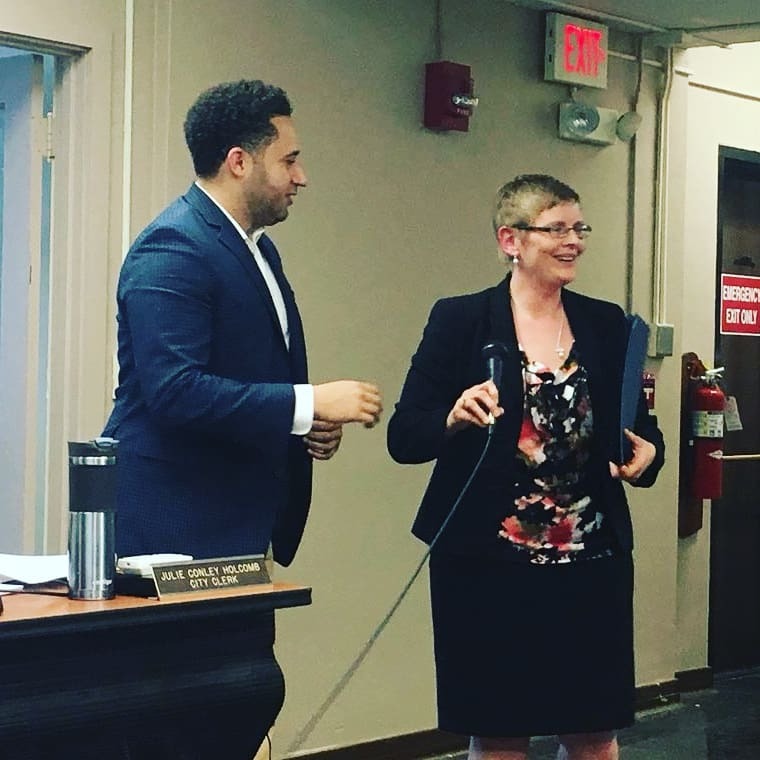 TOMPKINS COUNTY, NY – On Tuesday, May 1st, at its regular meeting, the Tompkins County Legislature issued a proclamation designating April 29 through May 5, 2018 National Small Business Week in Tompkins County; on Wednesday, May 2nd, the City of Ithaca Common Council did the same. National Small Business Week takes place each year at the end of April/beginning of May, and it’s one way to recognize and appreciate that small businesses contribute significantly to the local, regional, and national economy through job creation and by investing directly in the vibrancy of their communities. The Tompkins County Chamber of Commerce and Downtown Ithaca Alliance remind area residents that locally owned small businesses are the greatest job creators in the local community, and that every dollar spent patronizing a small, independently owned business has significantly more economic impact than spending that same dollar outside our community or online retailers. According to the Tompkins County Chamber of Commerce, Ithaca and Tompkins County ranked higher than the nearby region or the State of New York for providing a supportive atmosphere for entrepreneurs during a recent survey which benchmarked economic outlook for the area. This is due in part, suggests Jennifer Tavares, Chamber President, to the interest and willingness of residents to support all kinds of small businesses locally. The Tompkins County Chamber of Commerce has more information about local businesses to support at their website www.tompkinschamber.org; the Downtown Ithaca Alliance offers the same at www.downtownithaca.com.